New site UFOsDisclosed.com pledges to help its members find definitive and legitimate proof to support the longstanding belief that “we are not alone.” Those interested in learning the “truth about UFOs and extraterrestrial life” have flocked to the site, and to date, membership is more than 2,000 strong and climbing in less than 30 days. 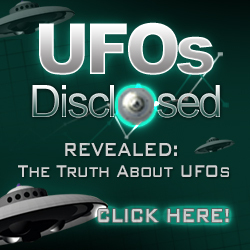 UFOs Disclosed is a new UFO conspiracy community that has re-ignited interest in finding definitive and legitimate proof to support the longstanding belief that “we are not alone.” Launched a few short weeks ago, the site operates independent of authority figures and mainstream media and has already generated a buzz among those tuned into alternative media channels. To date, membership is more than 2,000 strong and climbing. In no uncertain terms, UFOs Disclosed promises to help members discover the “truth about UFOs and extraterrestrial life,” by providing full UFO disclosure. Members are assured that they won’t need to put up with “dozens of paranormal hoaxes and faked UFO sightings,” and that “dealing with cranks, weirdos and nut-jobs” won’t be a part of the routine. Users can join in discussion threads on a range of topics and controversies, including everything from the true meaning of Sumerian Clay tablets, time travel and quantum leaping to September 11 coincidences and conspiracies. They can also seek help on how to deal with a possible alien abduction. In addition to connecting with like minded individuals, the site also offers members a chance to purchase a new publication called “UFOs Disclosed: Undeniable Proof,” a compilation of notable UFO sightings and cases throughout history. The compilation contains more than 8 hours of professional audio and over 65 pages of digital documents that, according to the site, “prove that humanity is being visited by unidentified flying objects.” In celebration of the new website launch, “UFOs Disclosed: Undeniable Proof” is available for $23.50 (a $47 value) for a limited time. UFOs Disclosed has far exceeded its membership expectations, with thousands signing up to the UFO forum in less than 30 days. To learn the truth about UFOs and join the other-worldly discussion, visit the company website (http://www.ufosdisclosed.com/). UFOs Disclosed is a new UFO conspiracy community that has re-ignited interest in finding definitive and legitimate proof to support the longstanding belief that “we are not alone.” The site operates independent of authority figures or mainstream media, and has far exceeded its membership milestones in less than 30 days. To join the other-worldly discussion or to purchase a copy of “UFOs Disclosed: Undeniable Proof,” visit the company website (http://www.ufosdisclosed.com/).